This specialty prescription lab in Tulsa, Oklahoma, has been in touch with the Louisiana prison system about producing a special-order batch of the lethal-injection drug pentobarbital. Louisiana prison officials have looked into illegally obtaining a lethal-injection drug from an Oklahoma pharmacy for the Feb. 5 execution of convicted child killer Christopher Sepulvado, according to just-released state documents. 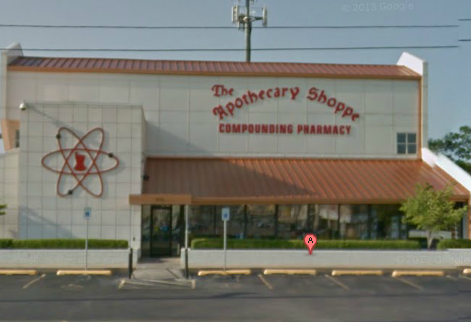 The Tulsa-based compounding lab, called The Apothecary Shoppe, is not listed in the state pharmacy board’s online database of suppliers licensed to provide drugs to any pharmacy in Louisiana. That would make the sale of pentobarbital from that business to the Louisiana State Penitentiary Pharmacy an illegal transaction under state law. A September email shows that The Apothecary Shoppe asked the state to complete a non-disclosure agreement. The document spells out the confidentiality agreement between the pharmacy and the signatory. Although the Department of Corrections said Friday that the state didn’t have any pentobarbital, it was in the “process of procuring” it, department attorney James Hilburn wrote in a court document. No other recent purchase records were made available, nor any other records that show written communication with any other pharmacy regarding pentobarbital, according to state documents given to Sepulvado’s lawyers and records obtained by The Lens. That same pharmacy is suspected of being the source of Missouri’s pentobarbital, according to Cull, and it is not licensed to sell drugs in that state, either. An investigation by St. Louis Public Radio and the St. Louis Beacon found that Missouri’s pentobarbital was supplied by one of three compounding pharmacies in Oklahoma not licensed to sell drugs in the state. A follow-up by The Pitch found that of the three possible pharmacies, only The Apothecary Shoppe performed sterile injectable compounding, or made drugs suitable for injections. Questions regarding the type and mix of lethal injection drugs have arisen since Dennis McGuire “appeared to gasp several times and took more than 15 minutes to die” when he was executed Jan. 16 with a mix of sedative midazolam and the painkiller hydromorphone. The state on Friday gave Sepulvado’s lawyers the email with The Apothecary Shoppe’s confidentiality agreement. The document was attached to a Sept. 5, 2013 email from Deril J. Lees, pharmacy manager of The Apothecary Shoppe, to Seth Smith, deputy warden of the Elayn Hunt Correctional Center. “Please find the attached NDA [non-disclosure agreement] and return it,” Lees told Smith in the letter. The agreement is blank in some parts, but filled out with the name “Georgia Department of Corrections” in others. The confidentiality agreement was first received by The Lens from the state Wednesday in a heavily redacted format, in response to a public-records request for any correspondence regarding the procurement of pentobarbital. Sepulvado’s lawyers received a non-redacted copy of the document late Friday. The document was given to lawyers filing a lawsuit on behalf of Sepulvado and death row inmate Jessie Hoffman. Hoffman filed the lawsuit in December 2012, and Sepulvado intervened January 2013, after the state refused to disclose how they would execute him. In February 2013, the state announced a change from a three-drug mixture of lethal injection drugs to the single drug. Sepulvado and Hoffman’s lawsuit contends that condemned inmates have a right to know how they’ll be executed. Sepulvado, who has had several execution dates come and go in the past year, received another death warrant in January after the U.S. Fifth Circuit of Appeals in December upheld a decision that the state’s lethal injection secrecy did not violate his due-process right. But in January, U.S. Magistrate Judge Stephen Riedlinger in Baton Rouge ruled that the state needed to release additional information about the execution process, including where it would be obtaining its lethal injection drug and if the protocol would be changing. Getting that information from the state has been tricky, said Michael Rubenstein, a lawyer for Hoffman. Rubenstein said Friday afternoon that his team had to travel to Baton Rouge to pick up the documents that death-row lawyers demanded as part of discovery for the federal lawsuit. The state blamed the cold weather for not being able to deliver them on the date demanded by Riedlinger, Rubenstein said. Even then, however, the state gave an “incomplete” version of the documents, Rubenstein said. Among the items missing were where the state planned to find the drug. The agreement naming The Apothecary Shoppe was found in a second delivery of records, obtained by death penalty lawyers late Friday night, among more than a thousand other documents, the lawyers said. Cull agreed that the state lacks transparency. “The procurement of pentobarbital by the Louisiana Department of Corrections continues to be shrouded in secrecy, insulating the State from public or legal scrutiny,” Cull said in an email to The Lens. Calls and emails to the Louisiana Department of Corrections, The Apothecary Shoppe and the head of the Louisiana Board of Pharmacy were not immediately returned. Della Hasselle, a freelance journalist and producer, reports environmental and criminal justice stories for The Lens. A graduate of Benjamin Franklin High School and the New Orleans Center for Creative Arts, Hasselle lived in New York for 10 years. While up north, she produced and anchored news segments, wrote feature stories and reported breaking news for DNAinfo.com, a hyperlocal news site. Before that, she worked at the New York Daily News. She obtained her master’s degree from the Columbia University Graduate School of Journalism. She can be reached at (917) 304-6121. The ruling delays a child-killer’s execution, as well as four others on death row.